An absolute classic strain which laid the genetics for the majority of marijuana seeds around today. Originally, a mix of Colombian, Mexican and Afghan land races creating the 50% Sativa 50% Indica genetic that led to a new generation of cannabis. Over the years this strain has been worked on to improve that sweet taste and big buds most commonly associated with Skunk #1. 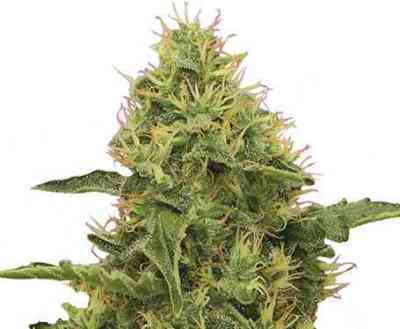 Today, Royal Queen Seeds brings this classic variety into the modern era with a feminised seed. The Royal Queen’s Skunk XL feminised will grow over 1 metre tall, up to 2m, yielding a giant main cola. 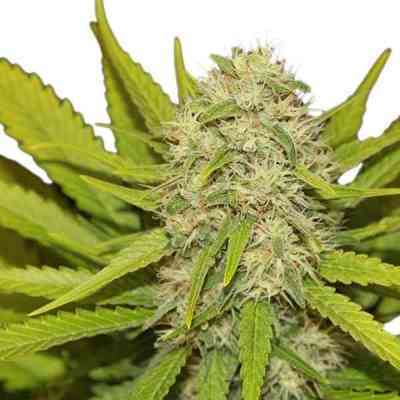 Over all she is quite an easy plant to maintain, with little stretching during flower for a Sativa, combined with her big bud structure altogether making her a pleasant plant to grow. This relatively easy maintenance makes her suitable for both soil and hydro set ups, especially for Sea/Screen of Green operations. Grown indoors on average you get a yield of 65-75 g per plant or between 600-650 g per metre squared, under a 600w light. Grown outdoors, she prefers a warmer climate such as in Spain, Italy or California and given the right conditions will produce over 600g per plant. Due to her relatively short flower time she can be grown in more northern latitudes (UK, Netherlands), however, will not reach her full potential as she would indoors. Flowering will be finished after 7-8 weeks to maximise flavour, but she can go a week longer to give an extra kick to the smoke. Overall her short flower time, easy grow and big yield makes her a contender for the selection of those commercial ‘cash-crops’. As for smoke, our Skunk XL Feminised brings a great mix of instant head high while a subtle body stone creeps up on you after time. Smokers always enjoy her sweet, fruit like, taste that makes every hit of the joint or bong a genuine pleasure to be desired after. Try for yourself and you will not be disappointed.